Love solving clues and puzzles? Love being part of a team? Then you’ll love Clue Trace. ClueTrace is a second generation escape game. We have computer controlled clues and puzzles and our games were designed to be fun and engaging. Enjoy the experience with your team while finding clues, solving puzzles and riddles in a fun and safe environment. Do you have what it takes to enter the mind of a white collar criminal? Your team is a specialist group of thought thieves who must break into the mind of a master criminal. You’ll be sent on an exhilarating mission to search his mind. Your adventures are just beginning. Somewhere, deep within his memory, there is a secret code. This code is critical for your success. You’ll face puzzles, challenges and mysteries you’ve never seen before. The clock is ticking. Your task is to complete your mission and get out – before time runs out! Come and play at ClueTrace and explore the thrilling new world of live escape games. We guarantee you an adventure packed with fun, excitement, challenge and mystery. Do you feel strong enough to fulfil your mission to travel in time and space? We need your help to identify the double agent. You will need to travel to 80s of Berlin and London. Had so much fun solving these mind games! Went to ClubTrace Escape Game with a group of ladies and we separated in two groups of 4, for friendly competition. Our mission? Retrieving sensitive information from the mind of a rich criminal and secure ourselves a 10 millions pounds prize. This was my first escape game and I loved it. I loved resolving the logical puzzles on our way and luckily there was four of us because some of them were really tricky! Some times, the screen above our head would make a loud noise and we’d get a clue to orientate us in the right direction. It’s funny how different our minds worked, because it led to solving every mystery and…WINNING! I would never have thought of some of the things the girls came out with to solved the numerous riddles and like wise. We had a good laugh as well as a good training for our brains haha, keeps your grey cells alert. I can’t wait to try the second escape game they have! It is genuinely refreshing to do a room where you find puzzles which you haven’t come across before and that adds to the element of surprise and challenge. All in all, a well executed room that leaves you feeling like you’re part of a storyline. 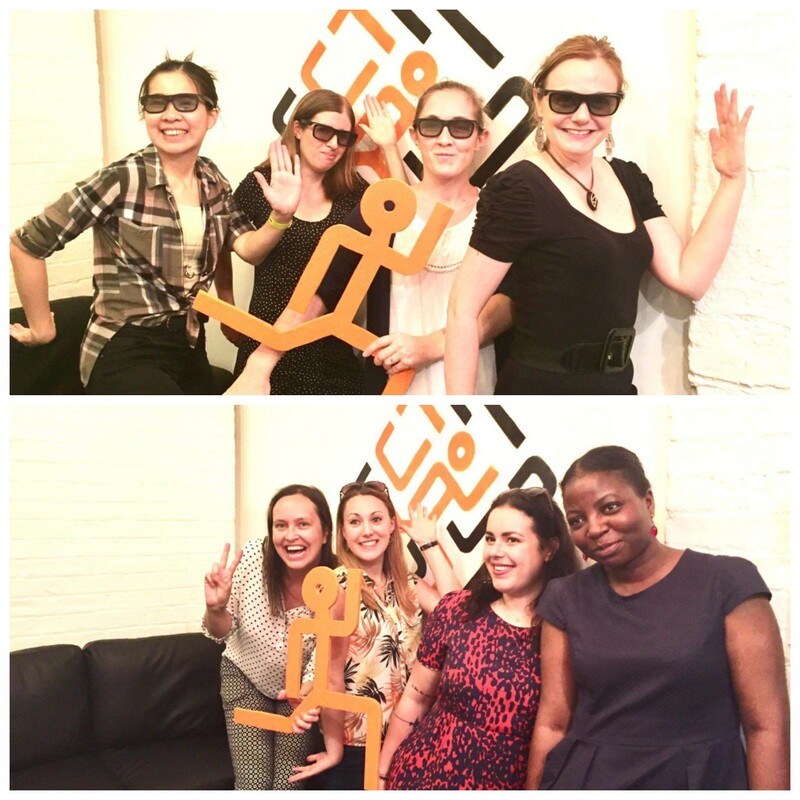 Thanks to lovepopupslondon, I was lucky enough to attend ClueTrace:MindCrime escape room with some lovely ladies. The two Overground stations (Dalston Junction + Dalston Kingsland) make it easily accessible. The hosts were very welcoming, providing bottled water (needed on the hot day!) and sweets. There are actually 2 MindCrime rooms, perfect for larger groups as you can split into teams and compete against each other, as we did! Our mission: enter the mind of a master criminal, explore the memories and steal the money before he wakes up. My first thought on entering was ‘sparse’ or as is cool these days ‘minimalist’. I thought just starting would be the biggest challenge, but luckily we immediately locked onto the first puzzle and were off. There’s a good mix of puzzles, activities and logical thinking challenges, with some very cool (and hidden! ;-o) elements to keep everyone engaged. Result: We escaped with the millions! It always surprises me how different escape rooms are and this one is no different. There are some very cool and unique elements to this game. Myself, and 3 friends took on the task of escaping against another team. We walked into the room, which was very sparse compared to others. However, it soon became clear that the clues where hidden away for you to find. I have been lucky enough to experience a few different escape rooms/games recently (all courtesy of Love Pop-Ups London) and have enjoyed every single one, however have noticed some of the puzzles getting a bit samey. Although there were a few elements I had seen before (the use of chess pieces and projector film) I was so excited to find that nothing was as expected and there was a surprise around every corner (musical play back, reflective components and secret glasses!). Clue Trace is located a 5 minute walk from Dalston Kingsland station and is run by the friendliest, sweetest people; handing you bottled water as you enter and there are tonnes of toffees dotted all over the small waiting area. Currently there are 2 different games (with a 3rd one on its way) with 2 rooms for each game available. This means as well as beating the room you are able to compete with another team. The room, although not the most professionally decorated, is set up really well, with plenty of space and all props working (you may think obvious but some have broken on me before!). We played the first game – Mind Crime – where we were debriefed as a specialist group of thought thieves who must break in to the mind of a master criminal to crack the clues and codes to be able to transfer £1 million out of his bank account in to yours. We made it with over 15 minutes to spare (WOHOO) but unfortunately didn’t get to keep the money! We were however given plenty of time to take photos of our team and discuss our favourite bits with our host! A brilliant game for a team building exercise, hen/stag do or just a day out with family. Myself and 3 friends recently played (and escaped =D ) the mind trace room alongside another team of 4 we knew in an identical room – a fun scenario that not all escape room venues can accommodate. Overall it was a really enjoyable experience. The host was very welcoming and we were greeted with water, sweets and, as is custom in most escape rooms, a few mini puzzles to try in the reception area where we were given our mission and walkie-talkies before being let loose in the room. At first glance it seemed quite bare but it soon became apparent that wasn’t the case! I was pleasantly surprised at the variety of problems to solve and things to find throughout the game which gave each team member an opportunity to come into their own. Some were simple (the sorts of things that are so brilliantly obvious you’ll kick yourself if you miss them – I did!) and standalone, some needed multiple components to be collected and brought together, some you couldn’t see, some you had to revisit previous rooms for and some items – the best ones – were deceptively useless which you find at the very beginning and hopelessly try to use throughout the game only to find their actual use at the very end! It was obvious a lot of effort and thought had been put into the room(s), especially the last one which in itself was worth playing the game for. The presentation was better than other rooms I’ve played; it was clean, nothing was worn or shabby and everything, apart from a dodgy door, worked well. I did however, although others may not agree, find one of the puzzles a bit far-fetched, not really getting the connection between the “clue” and answer. I also found one answer very misleading at the end which cost us some time. There is a screen in the room showing hints every so often and at times we were given hints for things we’d already completed which upset the flow and immersive nature of the game somewhat. I would have liked the chance to request hints as and when we needed then. We could also hear some things from the other room which did much the same. At the end the host spent some time answering any questions we had and, like other escape room venues, we got to add our picture to the wall. We were also each given a photo to take away as a reminder of the day – unfortunately we weren’t given the £10 million we were tasked to steal which would have been a nice reminder of the day too =D! Ultimately, I think it would be enjoyable for newbies but also offers new things for the seasoned escape room pros. I wouldn’t recommend it for more than 4 people. Going by what mind trace had to offer, I look forward to returning to clue trace and having a go at their second room.